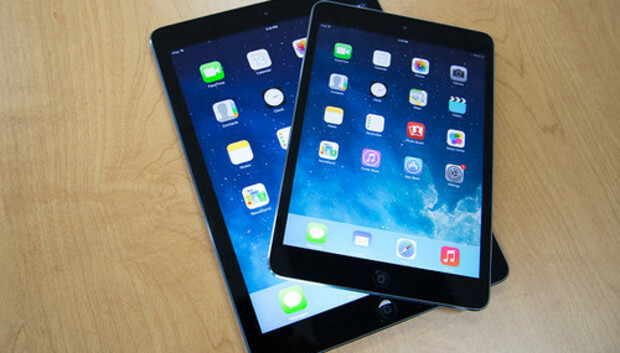 I've been a user of a full-size iPad since the first Wi-Fi model was released in April 2010. And until the iPad mini debuted near the end of 2012, it was just the iPad because your choice was 9.7 inches or nothing. In my time with first-, second-, and third-generation iPads I became very comfortable with the size and weight. Well, maybe not always necessarily comfortable with, but resigned to. I read a lot on the iPad--mostly magazines but also books, Pocket-ed Web stories, and the occasional comics--and have found the large screen size great for such uses. But I also do much of my reading in bed, and holding up one and a half pounds with one hand never quite worked for me. And in almost every way, I've been very pleased with my choice after daily use for almost a month and a half. More than just weight, I was looking for an iPad that was more portable. The mini fits in the pocket of some of my jackets, and slips into any bag with ease. Holding the mini with one hand is also a breeze, and I've even found myself switching to portrait mode for most of my reading because holding it like a book feels natural. One downside, however, is that for some Newsstand magazines with fixed font sizes text can be a little squint-inducing. My oh-so-close-to-40 eyes can still deal with it, but I could see this becoming an issue for me later on (and for others right now). As others have pointed out, the colors on the mini aren't as saturated as on the full-size iPad. Side by side, the difference is quite noticeable. By itself, it's easy to forget and hasn't really impacted my enjoyment. But the one place where I can really tell the difference is looking at icons on the home screen. One thing that surprised me is that the mini has become my primary video-viewing device. And in that way, I've actually gone bigger from my iPhone, on which I used to watch TV shows and movies while doing my morning exercise. The full-size iPad was always too big to precariously perch on my stationary bike's small ledge at the bottom of the display unit. The mini fits perfectly and lets me watch on a larger screen. In short, the switch from big iPad to little after three and half years has been relatively painless. In most ways, I've found the diminutive tablet more portable, easier to hold, and capable of handing what I want from an iPad. But unless other magazines adopt the adjustable font size options of pubs like The New Yorker--or Apple includes a coupon for LASIK surgery in every box--aging eyes might take offense. Yet Apple has already begun to address this with Dynamic Type in iOS 7, which lets you adjust your preferred reading size system-wide, but only for those apps that support it.